Universities in the United States host a substantial number of international students every academic year. 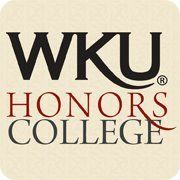 As of the 2015-2016 academic year, Western Kentucky University, located in south-central Kentucky, alone hosts over 1,400 international students. These students often face a number of challenges upon arrival in the United States, especially when it comes to language and cultural differences. A considerable body of research indicates that international students’ educational performance and outcomes are significantly impacted by their cultural identities, psychological and sociocultural experiences, and attitudes in relation to English-speaking societies. Many international students attribute academic and social difficulties to a lack of proficiency in the English language and unfamiliarity with the local culture. To address these concerns, a five-week English language skills seminar was conducted for a group of international students, focusing on pronunciation, grammar, vocabulary, pragmatics, and acculturation. According to pre- and post-assessment and survey results, the seminar was effective in improving the students’ English speech sound productions, as well as increasing their confidence when speaking in English. These results highlight the need for quality language and cultural education programs for international students in order for them to be more successful while studying abroad. Fussman, Kelly, "Outcomes of Speech and Language Pilot Program for International Students" (2016). Honors College Capstone Experience/Thesis Projects. Paper 616.